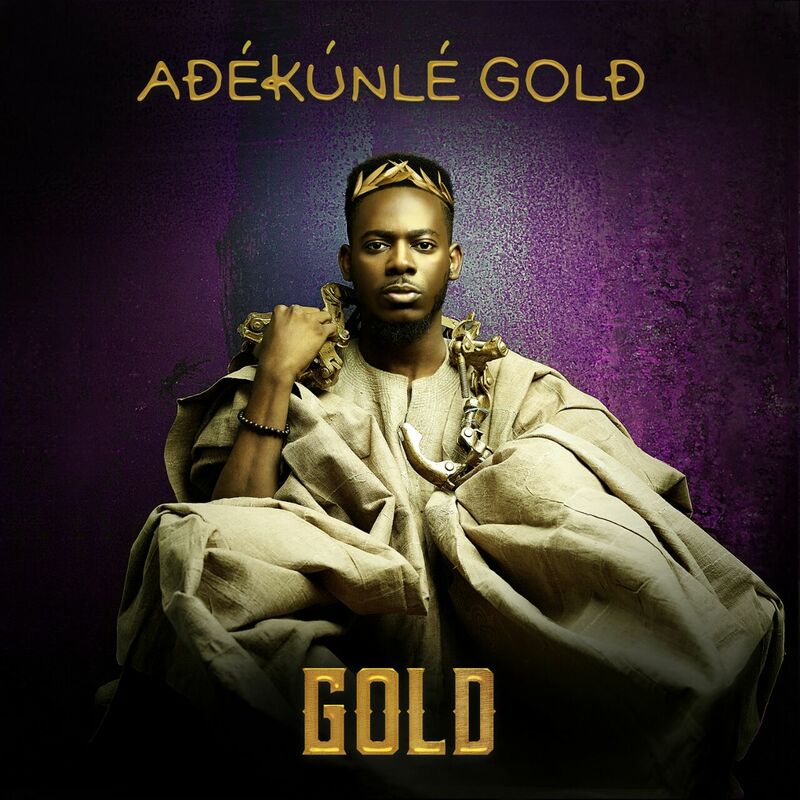 The YBNL rave of the moment, Adekunle Gold has released the art work for his debut album, Gold. The most anticipated album of the year will be released on the 28th of July and is already available on iTunes for pre order. It consists 16 tracks with just one feature with songstress, SIMI. Undoubtedly, the singer bares his soul in this album and the cover further expresses this message. Every detail on the cover which was crafted by him creates an irresistible imagery of what to expect from the album .There is something different about this artwork, it goes beyond just a picture but tells a lengthy tale about the artiste, his craft and his belief. There is a symphony of colours, allusions, inscriptions that reach out to the aesthetic sense of the viewer. It echoes ancestry, royalty and an unshakeable sense of rebirth. The colour purple adorns the background of the artwork and words are inscribed in gold. Purple and gold are known to signify royalty but the colours do more than just connote royalty, they capture the viewer’s immediate attention. Here is the first glaring statement that before the viewer is an entity glazed with an obvious ambiance of royalty. You cannot afford to look away. Going on to the inscription of his name and that of the album, again, the picture speaks volumes. His name is written using diacritical marks specifically to impress accurate pronunciation. Another angle is introduced in the description of this phenomenon; this is the rebirth of not just any royalty but a Yoruba royalty. The climax of the artwork is embodied in the image of Adekunle Gold. Garbed in a gold coloured Agbada, the music maestro is captured as he looks on expressionlessly into nothingness. The expression is as though he no longer has control of his body. This is no longer the 21st century human being but a calabash that contains the message of his ancestors. Ultimately this is a medium that bears on his shoulders the heritage of days past, the ancient songs of the grand patrons of his culture. The crown surmounts the appearance of this excellent depiction. Here is the unveiling of the ancient in a world of hip hop, rap and pop. This is the emperor of Urban Highlife reborn in the 21st century. Welcome the KING, Welcome Adekunle Gold! Production credits on the album: Seyikeyz, Oscar, Pheelz, B Banks, Sleekamo and Masterkraft. Mix and mastering of songs on the album done by SIMI except track 16 which was done by VTEX. Photography for art work cover by TY Bello. Kosoko Adekunle popularly known by his stage name Adekunle Gold is a graduate of Lagos State Polytechnic with a degree in Graphics. He is no stranger to music as he wrote his first song at the age of 15. His music career kicked off officially in 2010 when he formed a band called The Bridgewith his best friend Seyikeyz. 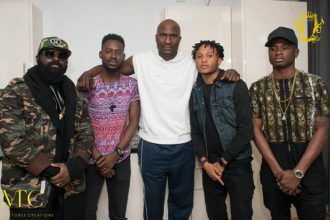 The duo released three songs; No Sleeping on a Bicycle, Norm Breaker which featured Skales and a cover for John Legend’s All of Me. In 2013, Adekunle Gold left his band to debut as a solo act. 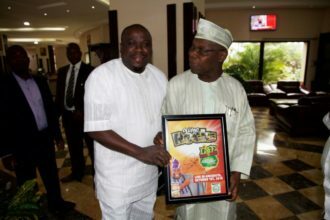 Having identified his style of music, he released a song titled Let It Stop, a song about peace for the nation. In 2014, he released yet another beautiful rendition of One Direction’s Story Of My Life which he titled Sade. Sade is credited to be the propelling force of Adekunle Gold’s career. Adekunle Gold is signed to YBNL Nation and has released three very successful singles which have enjoyed massive airplay since the release ofSade: Orente, Pick Up, and Ready. a Gold, is no stranger to the Nigee junior church choir.